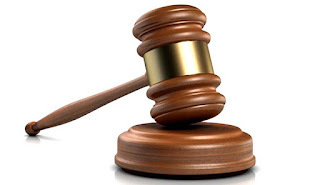 MASVINGO – Former MDC councillor for Masvingo Urban, Misheck Gapare has through his Labour Hold Enterprises been dragged to court for allegedly failing to deliver a house for which he had received US$5 000 in a botched deal. Ironically the lawsuit which was filed at Masvingo High Court is from a fellow MDC member and former MP for Zaka West , Festus Dumbu. The matter which was before Justice Joseph Mafusire under case number HC15/18 has since been struck off the register and the parties are now looking at an out of court settlement. Dumbu confirmed the development and said both parties are working towards signing the original title deeds. “We decided to settle the matter out of court and are finishing paper work for me to get title deeds to the house,” said Dumbu. Efforts to get a comment from Gapare were fruitless. Dumbu filed papers against Labour Hold Enterprises seeking reimbursement of US$5 000 after the latter failed to handover title deeds to the house, 9070 Mamoyo Cresent, Chesvingo, Masvingo. Court documents seen by The Mirror show that Dumbu engaged Labour Hold Enterprises in 2012 for the sale of the immovable property with title deeds being handed over after complete payment of US$5 000. Labour Hold Enterprises is however, alleged to have made a double sale of the property and failed to handover title deeds to Dumbu which resulted in a legal battle between the two parties. The Mirror is reliably informed that Gapare’s camp offered Dumbu another property in Victoria Ranch which he turned down.